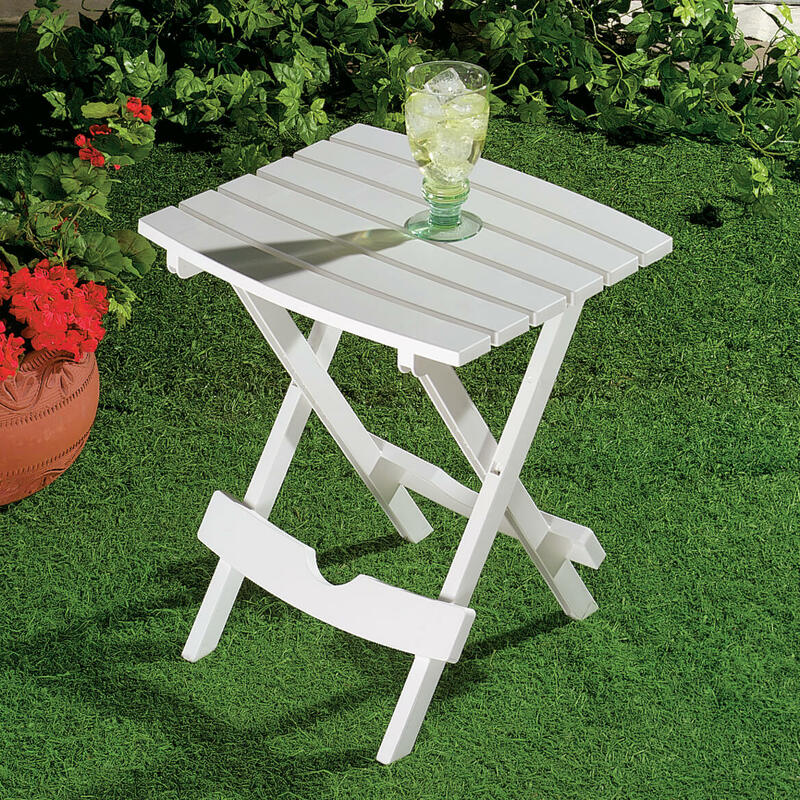 Add 2 Outdoor Side Tables to Cart, Get $2 Off each! I love the table. It is really clever how it opens & closes. Great extra side table. It is a little lighter than I had anticipated, but perfect for what I needed. I would definitely recommend this table. Very windy and snowy here and I never had to take it inside! Mever moved at all! 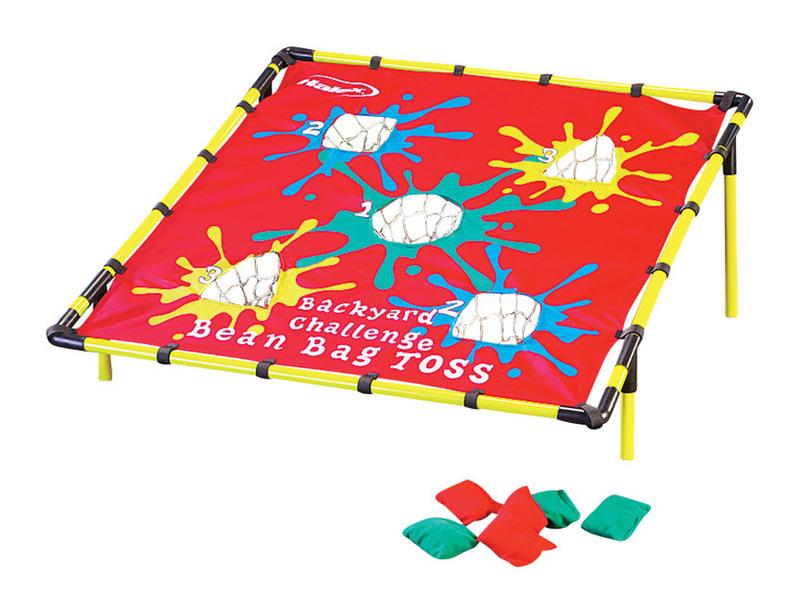 Easy to assemble and very durable! I think I will buy a couple more for summer entertaining. Great value too! Only thing I would change on it would be to have a locking mechanism or something underneath to lock the table into position. If you pick it up to move it with anything setting on it - everything will fall off. You have to remove everything from it prior to picking it up unless you firmly grip the legs and table to keep it all together. Other than that the table is fantastic. Well constructed and attractive. Ordered another one. I use it when iam sitting out side on my porch love it!! 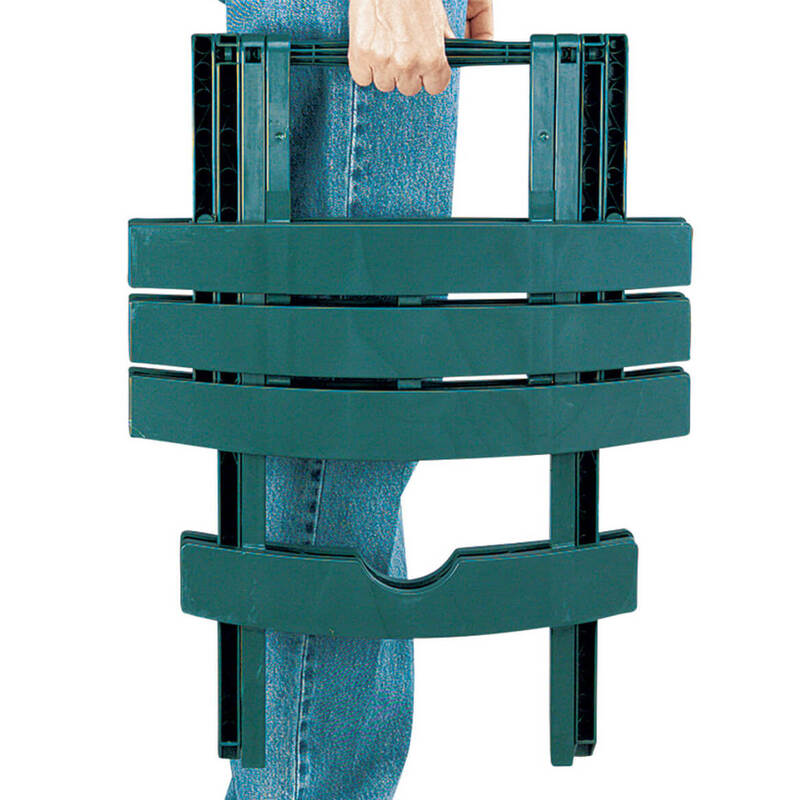 I use this to set up craft work and the product is lightweight and easy to assemble and when done easy to store and disassemble. This little table is useful for many things. It can hold the morning cup of coffee or it can be a plant stand. I am using it for both. Even better than I anticipated. Perfect for chairside table on the patio. Easy to fold up for storage when not in use. Stands up to the weather. Perfect for summer night parties! Entertaining family is easier with these end tables to hold soda ?? during a cookout! 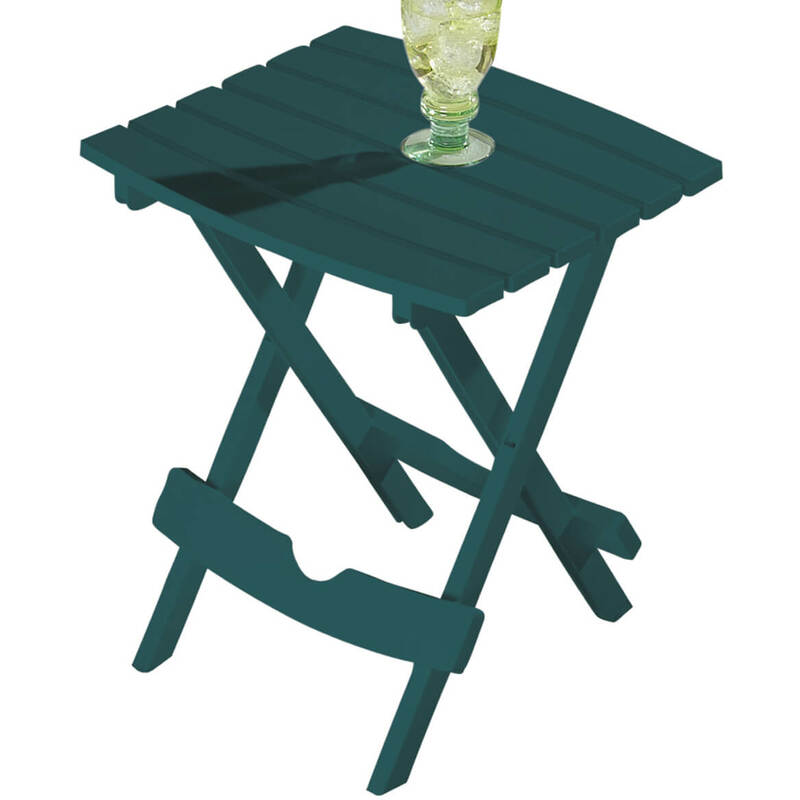 Use this next to patio chairs to hold drinks, magazines or anything I choose! I had the same table I bought years ago. Have been looking for a couple years. Glad you have them. My favorite. Had these in Texas. Now I I'm back in Michigan, but haven't been able to find them. Now I have, very happy. But i have to wait for my color. They're out of neutral. Also just right size. Easy to store. I wanted an inexpensive, easy to store side table for my patio. This one is perfect for holding a drink or a plate. I use it for the deck when I sit out there I have a place to put my drink or anything else I may want with me. 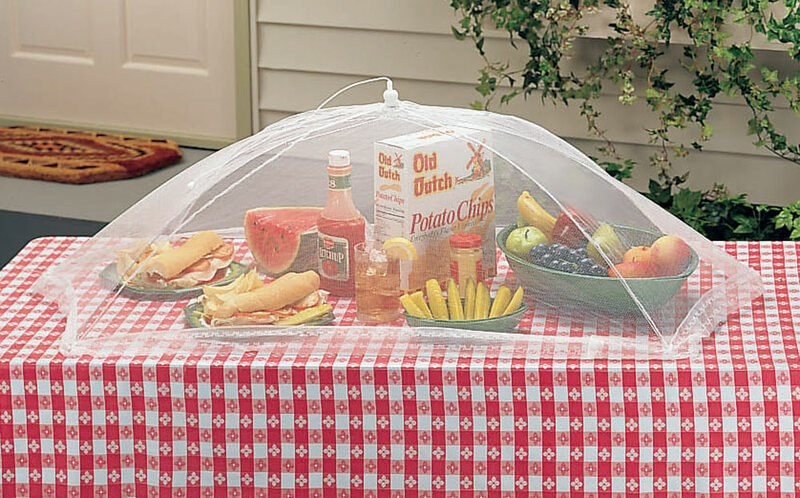 Very nice design, looks great on the porch, and very durable. I wanted a small table to set by my chair on the porch. I knew in my mind exactly what I wanted but just couldn't find it until I came across this one. The one I saw pictured was blue but my favorite color is green and was hoping you had it in green ! You did , so I didn't hesitate to order it ! Blue just wouldn't have done it and if you didn't have green, I never would have ordered it ! Good size table. Easy to set up and refold. I needed a small table for my daughter's boat - one that could be folded up out of the way when the boat was unoccupied, and that wouldn't be damaged by the water. This was the perfect solution - couldn't be more pleased! Purchased two folding tables. One of the two replaces a slightly larger one I had and fits better where I need it. The other table will be used indoors when a quick table is needed. Very handy items! These work perfectly on my porches, easy set up and just the right size! I like these smaller tables for more intimate groupings. They are easy to set up and even easier to store. Great for setting next to porch swings or porch chairs for your morning coffee! 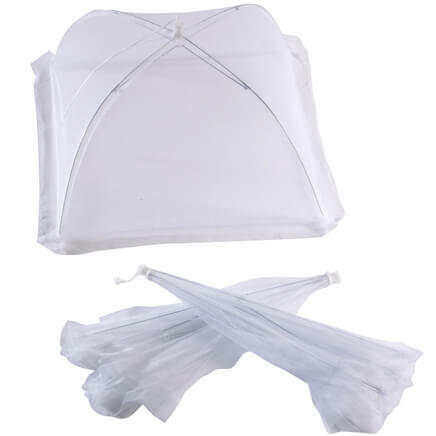 Very durable and easy to fold up for storage. Have ordered these more than once and very happy with them! I bought this table for my front porch it's perfect to hold my drinks and tablet. Plus it's so cute goes very nicely with my chairs. This is my second Quik-Fold table. I have had one for years in the house. I moved it onto the patio to put flowers on it. Then my husband wanted to take it camping. I decided to leave it in the trailor because it folds easily and is great for a camping table. So I ordered a new one for my patio. It is great. They arrived in time for a big birthday party for my husband and they worked great and looked nice. They fold easily for compact storage. I will be using this table as a place to put drinks, etc. alongside a card table. I will also probably use them on our deck in the summer time. 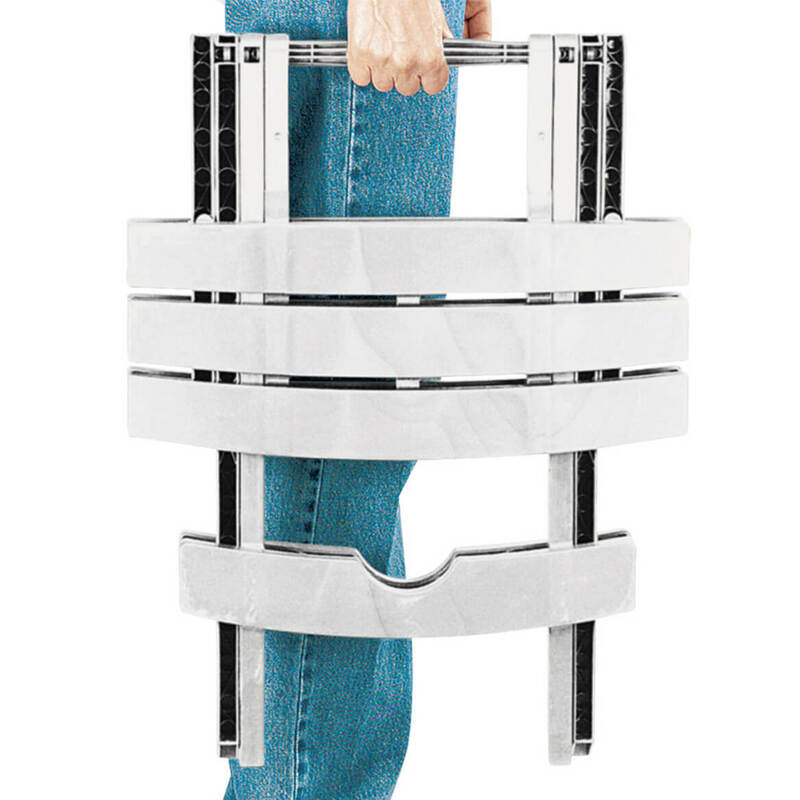 it is usefull , but i don't like how it folds when you move it. The description claims that the tables are white. They are not. They are egg-shell white or off-white, but not white. I bought them to match my white patio furniture. The off-white tables look quite odd with the white chairs. The descriptions need to change to prevent more disappointed buyers. This Table is the biggest piece of Junk I have ever ordered. I can't return it fast enough after waiting over a week to get it. I thought by the picture that the table could be used indoor as a portable dining table but was not tall enough. tHERE IS NO LOCK TO LOCK THE TABLE INTO POSITION. VERY DISAPPOINTED IN THIS PRODUCT. 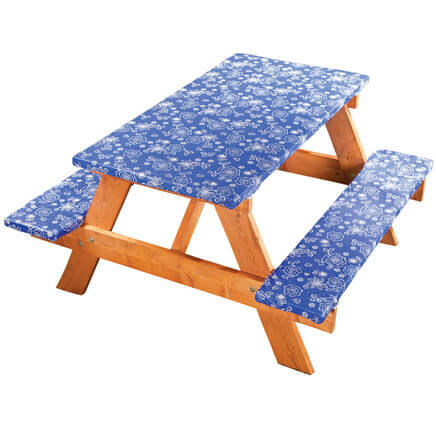 This table is small, weather resistant & folds for easy storage. Great to have on hand for extra guests when out on the patio. Plus it comes in 4 colors & the price is right. Need a place for a drink when I sit on my deck. Satisfies a need for a folding table. I need a small outdoor table to put my drink, etc. on when I'm enjoying my lounge chair. The large patio requires several small tables to hold drinks and snacks. Perfect, and I want lots of color on this patio. Need small table on porch. These will be perfect outdoor additions to my patio! Easy to clean and easy to put away when not in use. Ideal when completing DIY project. Son who is a carpenter was to make me some. Never did. They should fold nicely for storage over the winter months. Will go on my deck. I ordered two of these a few weeks ago and I liked this table so much that I ordered another one! This table works very well in my small patio space and it takes up very little storage space when it is not in use. Perfect for outside by the fire cooking. Nice size for my small deck. Great size!...have lots of these! HAVE BEEN LOOKING FOR SOMETHING LIKE THIS FOR A WHILE. Light weight, folds flat, good neutral color, great price - I bought two to keep in our fifth wheel for future camping trips. I had purchased one previously and liked it. I chose these to help me handle stuff in my small apartment.Right now they are helping me write Christmas cards. I wanted it for our deck and it is such a great price so I couldn't resist it! The price was right ! For use on our deck, camping, and traveling. We thought this would make a nice working surface at a rest stop to prepare snacks. I needed a table surface for the small balcony outside my apt. I wanted side tables to use on small deck---so liked that these could be folded up when not in use. Have 2 and decided having two more would be nice. These are great for the patio. We go to out door concerts and this will help with holding snacks and drinks. 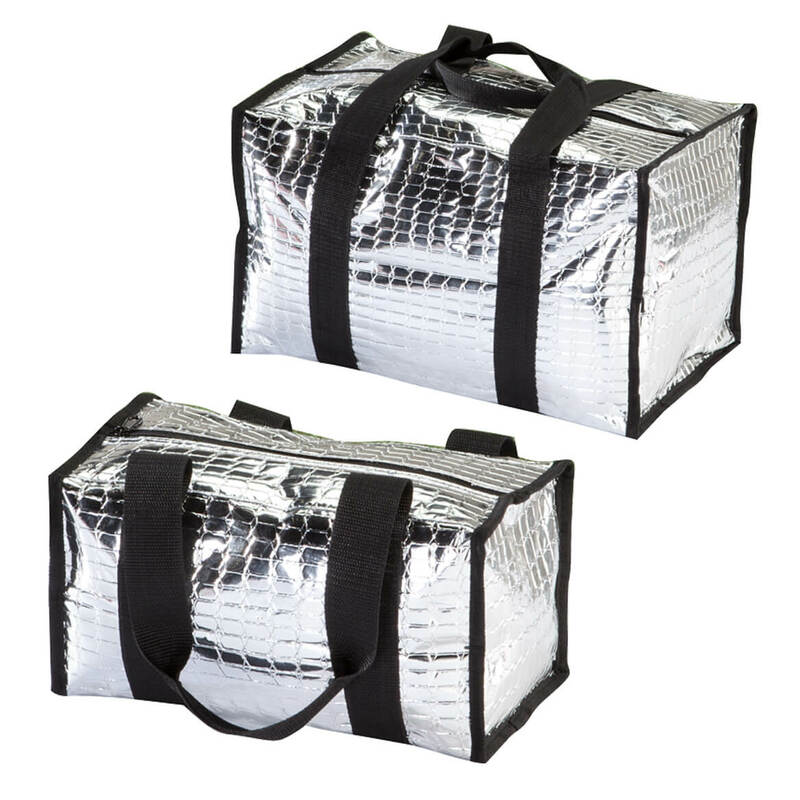 Also can take to the beach,plus it will store easily in the car. I didn't a little table. This folding table cost very little so was worth trying. It looks great by a white metal lawn chair in our courtyard. have one, very handy, need a second one. Love these tables!! All the colors and the sale price is a good price. I selected this table for my front porch because it is made in the USA, compact, comes in green, and matches the style of my rocking chairs. Is the white a true white or cream colored? BEST ANSWER: The table is a "true" white or what I would call "white-white"! It is white. Not a cream color. These are very nice tables. I don't consider it a pure white but it's not too far off. What does the sage & clay color look like? BEST ANSWER: I ordered the white tables. I like them very much. They look clean and fresh on my porch. I use them to put plants on. They were also easy to clean and store once the winter came. I only purchased the white so I can't help you with color. I will say that I enjoy having them and have used them indoors and outside. I ordered the white ones. They are cute tables to put your drinks on and maybe a small bowl of flowers, but are not for anything heavy. The clay color is a little darker than beige, but lighter than brown. It is a color similar to many rocks or stones. I don't recall the name of the color but it is a dark green. We are very pleased with the product. I have no idea. 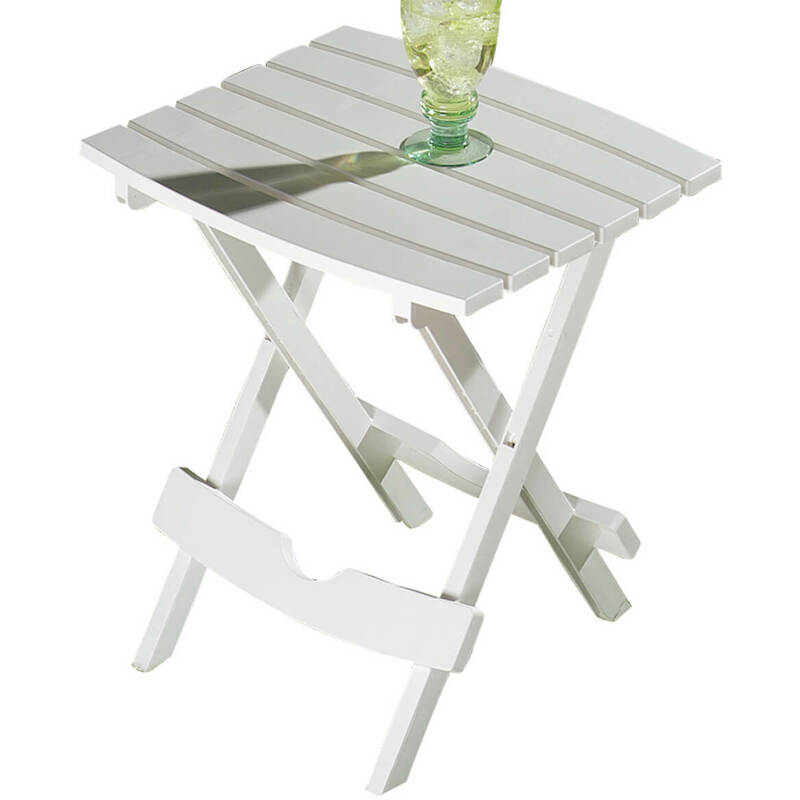 I purchased this folding table in white., it's great. The description of this table says it locks in place, but a reviewer said is does NOT lock. Does it lock in place or not? BEST ANSWER: Thank you for your question. The Quik-Fold Table does lock into place. We hope this information will be of help to you. yes my tables do lock. I have 2 of them and they are great!!! locks, i got two, very very utilitarian. BEST ANSWER: Thank you for your question. Yes, the item is available in clay color. We hope this information will be of help to you. IS THIS TABLE AVAILABLE IN BROWN? BEST ANSWER: Thank you for your question. Unfortunately the quik-fold table is not sold in brown. We hope this information will be of help to you. BEST ANSWER: Thank you for your question. This item is available in sage, white, clay and green. We hope this information will be of help to you. How much weight will this table hold? BEST ANSWER: Thank you for your question. This will hold up to 20 lbs. We hope this information will be of help to you.